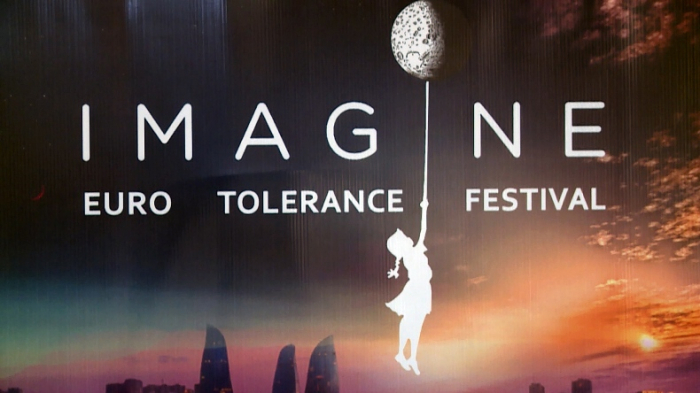 On the occasion of the 10th Anniversary of the Eastern Partnership, the Delegation of the European Union to Azerbaijan, in partnership with the Embassies of the EU Member States and the Embassies of Argentina, Mexico, Colombia, Moldova, Israel, Switzerland will organize on 1-14 May 2019 the 3rd version of IMAGINE Euro Tolerance Festival aimed at promoting the values of the intercultural dialogue, diversity and tolerance. This year, the Festival promises to exceed all expectations. More than 30 feature and documentary films on the theme of tolerance and diversity will be presented during the Festival. Well-known film directors from France, Latvia, Finland, the Netherlands and Belgium will join the Festival to present their movies and participate in debates on topics related to diversity. Master classes to students and local young film directors on documentary film making will also be offered at Universities. The organizers are proud to welcome as special guest the famous Dutch director, Robert Rombout, with more than 35 years of filming experience and currently teaching in Belgium. Diversity is about music too. Keeping previous years' tradition, the programme of the festival promises to be varied and original: Portuguese flavor will be brought by Magda Mendes with European/Azerbaijani ensemble on 7May, whereas guitar player "El Amir" coming straight from the heart of Andalucia, Spain will bring flamenco and Mediterranean vibes to the Baku public. Finally, yet importantly, Marcelo Moncada, a Belgian/Chilean saxophone player will drive us to the jazz improvisation territory with two unconventional concerts. The festival will be inaugurated with a photo exhibition of the works of a French photographer, Nicolas Landemard, resident in Brussels. His photos catch the reality of European institutions in Brussels, with their daily routine. A special section of this exhibition will be dedicated to diversity. For the first time, this year, the Imagine Euro Tolerance Festival will be held also outside the capital, in Ganja. IMAGINE Euro Tolerance Festival is supported by the Ministry of Culture of the Republic of Azerbaijan, Cinema Plus, the Landmark, Nizami Cinema Centre, Baku City Metropoliten, Mahsati Ganjavi Centre, Salaam Cinema, “Yarat” Contemporary Art Center, the Cultural Centre after Ibragim Abilov as well the Azerbaijan State University of Culture and Arts, ADA University, Ca’ Foscari University of Venice, and the Azerbaijan University of Languages. More venues and partners may be added.